Traditionally illegal broadcasting was the term given to unlicensed radio stations commonly known as pirate stations. However, this issue is now affecting the wider creative industries, as TV, films and sports are being illegally broadcast at home and in commercial premises. Streaming devices are being illegally configured with infringing apps and add-ons to unlawfully stream copyrighted TV, films, sports, music and games. These devices connect to your TV to stream content through your internet connection, turning the TV into a smart TV. These devices are one of FACT’s main priorities in tackling intellectual property (IP) crime. We are working closely with the police, government and the wider creative industries to combat the issue and have already taken action against numerous IPTV sellers and distributors. If your brand or business has concerns about illegal broadcasts via these devices we can offer a range of tactical solutions. Contact us today to find out more. Premium pay-for television channels are encrypted to prevent illegal broadcasting. However, fraudsters are finding ways to illegally crack the encryption and then sell this information on – this is known as card sharing. Signal theft is the act of illegally manipulating satellite signals without authorisation. It is possible by use of cable decoders or satellite descramblers to provide unauthorised access to satellite broadcasts. Internationally, programmes not legally available in a country are pirated from satellites in one country and re-transmitted to another by cable or broadcast TV. FACT works closely with broadcasters such as Sky, BT Sports and Virgin Media to tackle illegal broadcasting. A range of our services are employed to ensure content is protected including online internet investigations, intelligence and legal services. Contact us today to find out more. 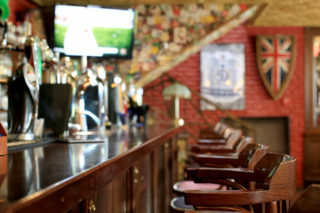 Businesses such as pubs, clubs and hotels are required to have commercial viewing agreements for premium pay-for television channels. However, some decide to circumvent the law and broadcast sports, TV and films to the general public without a license or authorised subscription. They commonly do this via the methods above. FACT works closely with broadcasters such as Sky, BT Sports and Virgin Media to tackle illegal broadcasting in commercial premises. We deploy a range of approaches to ensure content is protected including online internet investigations, intelligence and legal services.